I want my kids to fail. That's right I don't want my kids to succeed at everything they try. Why? Failure is one of the most important lessons we should be imparting to our kids. Let me provide a little background to my reasoning. My son came home from school last week and informed me that everyone got a ribbon for participating in a school event. Great, so everyone wins for doing nothing. I know that sounds a little harsh, but good old fashioned competitiveness is not a bad thing. I failed a lot growing-up. I tried basketball, softball, gymnastics and I was horrible at all of them. Then I discovered swimming and I was great at it. The pleasure I got from succeeding was that much better since I knew what it was like to be horrible at something. In college I had a professor inform me that I didn't understand anything about the concept of 'national identity' and that I should avoid a degree in English. I ended up getting my BA in English Literature and wrote my master's thesis on national identity and geography. However, if I hadn't done horribly in that class I might have had a very different life. We remember the times we fail, we need those failures to become the adults we are. It seems that we are now teaching our children that failure should be avoided in order to save our children the pain. Yes failure hurts, but the success that eventually comes is that much sweeter for having the fought our way back. So yes I want my children to fail, I will comfort them from the pain and cheer them on when they find a way to succeed. It's a part of growing-up. My family rarely eats out, less than once a month. However, we all love various ethnic foods so I try to re-create as many dishes at home as I can. Last week I tried a new Winter Vegetable Dal recipe from the January/February 2014 issue of Eating Well magazine. This recipe has 18 ingredients. It takes 1 hour of total time, 35 minutes of which is active and makes 6 servings. I did make a number of changes to the original recipe. First, I used a bay leaf instead of curry leaves. Curry leaves are very hard to find in my area and I didn't want to have to go searching for them. I thought that I had cumin seeds in my cupboard, but wasn't able to find them when I made the recipe so I substituted ground cumin instead. I cut my potatoes small, but I still found that my dal took longer than the recipe suggest for the vegetables to fully cook, approximately 10 additional minutes. My husband and I enjoyed this recipe. It was mild enough that my kids loved it while still being flavorful enough for adults. If you like your dishes spicier you can add a small amount of crushed red pepper. The leftovers of this dish re-heated well and it tasted great over brown rice. 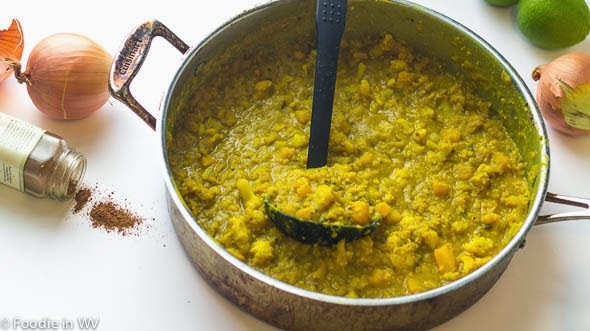 For the recipe go to Winter Vegetable Dal. Failing is part of life without it, we learn nothing.Good post. I would enjoy vegetable dal too. I really enjoy these type of dishes. I agree it's an important of learning! 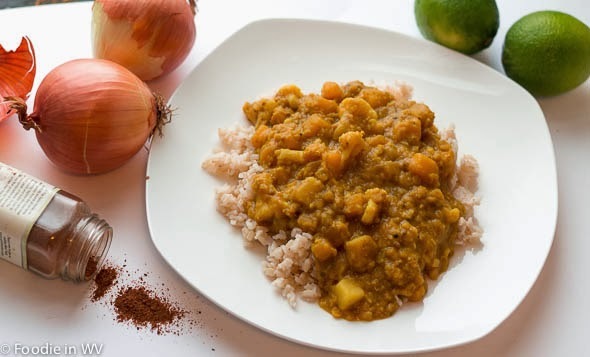 This dal is really yummy! I completely agree with you. I refuse to allow my kids to live under the illusion that everyone wins all the time, or that every choice is equally good. It's just patently untrue. My husband loves Indian food and I think he'd enjoy this dish. Thanks for sharing! I agree completely. I don't want them to fail every time, but sometimes it does teach them to keep trying. It's a valuable lesson for them to learn. It is a valuable lesson to learn. If they don't learn it as kids, it's much harder to learn as an adult! 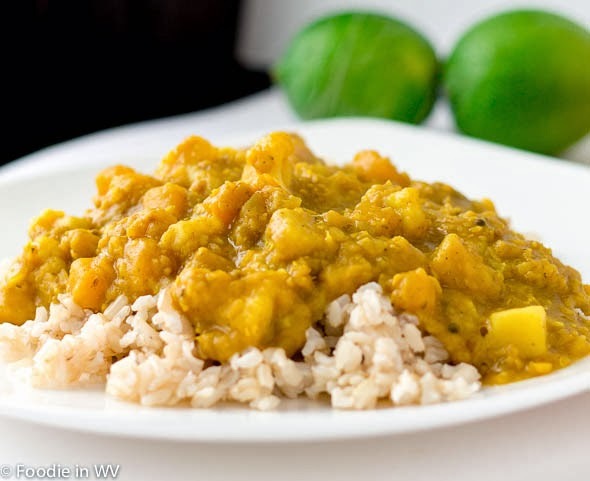 The dal looks very delicious and satisfying. It is a part of growing up. And and important one at that! Another mother who thinks the way I do. My son wasn't picked last year for the basketball team and I was happy that he wasn't picked. Wanna know why? He was practicing and thought that he can just get by. I don't want him to just get by, I want him to actually work for what he wants. He practiced all summer and this year he was picked. That's awesome that he worked hard and got on the team this year. I agree that hard work is very important, I am always telling my kids the same thing. We are big curry fans too, love it!